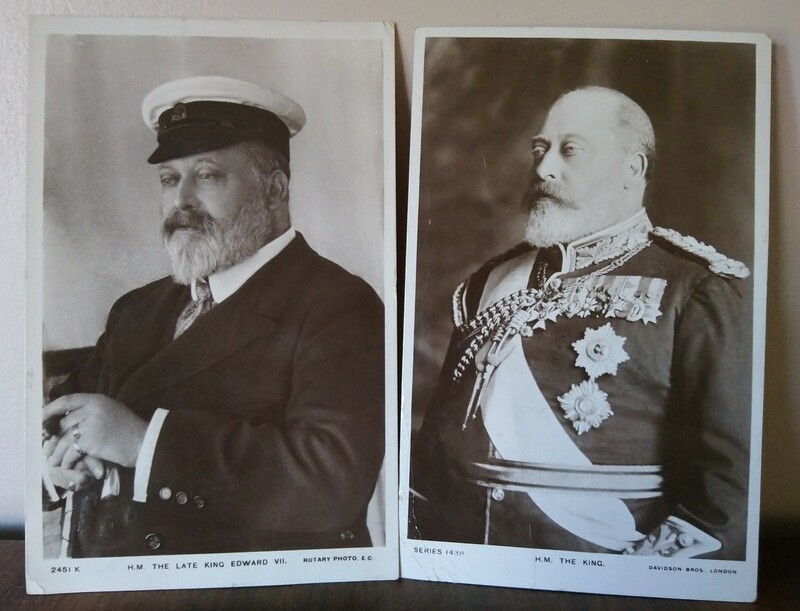 A couple of postcards of King Edward VII that I acquired recently. This for me is what a King should look like. Regal and very impressive. The first one has a lovely message on the back. What an affectionate term and its nice to know he was a popular King. The second card is very special. 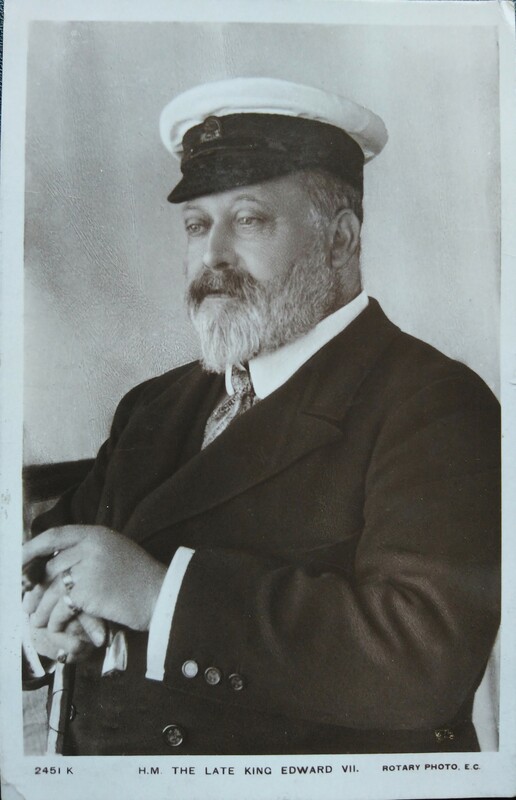 This card is to commemorate the King after his untimely death on 6th May 1910. 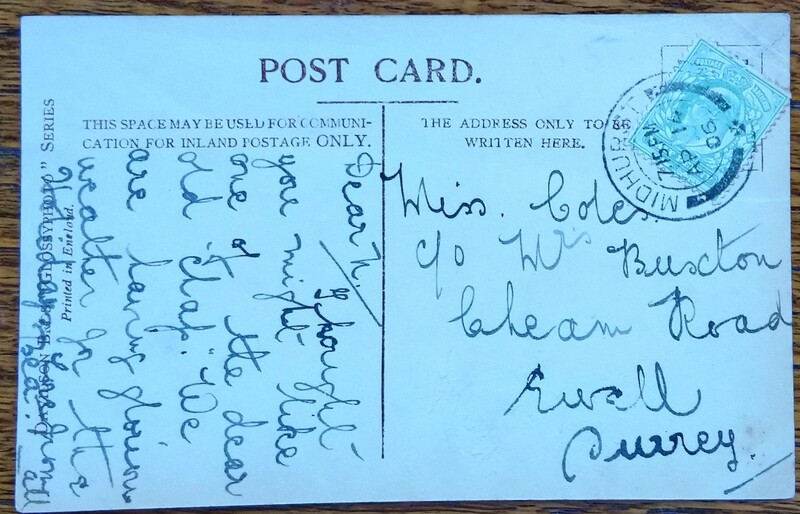 His funeral was held on 20th May, this card was sent on 21st May and the sender mentions going to see the funeral and that they had a fairly good view. 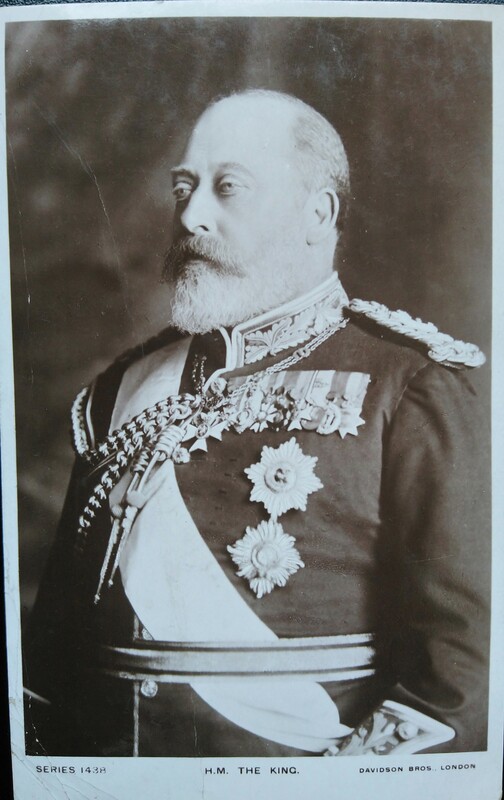 Its sent to a Miss Allaway in Victoria, London The funeral was the largest gathering of European Royalty ever to take place, with representatives of 70 states, and the last before many Royal families were deposed in World War 1 and its aftermath. Imagine seeing all those European Kings and Queens, what a sight it must have been. I think that makes it so special and its made this card top of my Royalty pile.